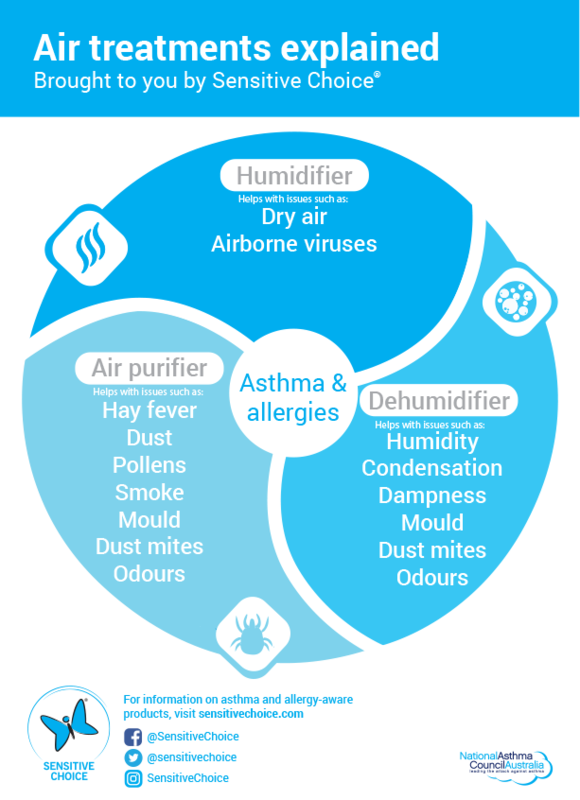 Have you ever wondered what the difference is between a humidifier, a dehumidifier and an air purifier? Let our infographic fill you in! View it below or download it here. Click here for indoor environmental control products. Click here for a factsheet on climate control.